How di Martoni would probably have appeared. A recent entry concerned Negroponte and Evliya's 1668 account of the channel for the mill wheels. 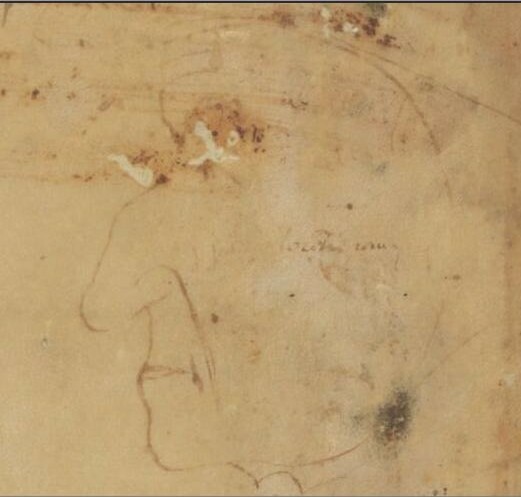 Pierre MacKay, working on evidence for the channel, became charmed by the 1395 visit of Nicola di Martoni who also noted the mill wheels. Di Martoni, returning to Italy from the Holy Land, stopped at Negroponte, Athens, and Corinth -- the last two at singularly important dates in their medieval history. He was a notary, married, the father of two children who had died prematurely. He was, as he says below, stuck in Negroponte for forty days, hoping for a galley that would take him back to Italy. The island of Negropont is 300 miles around and is separated from the mainland by an arm of the sea some XII passus wide or a little more. The city of Negropont is built at the extreme corner of this island near that arm of the sea and is smaller than the city of Suesse,1 but is well populated with Latins and Greeks. The island has many fortresses and towns and a population of 14 thousand households.2 The largest church in the city is called the church of St Mary3 and is quite beautiful. In other ages the city was three times as large, but was ruined by wars. Now it is confined to one place close to the afore-mentioned arm of the sea. Outside the city are various dwellings and ancient buildings among which is the priory of St. Francis. which is a fine large place where the friars live from their own produce. The wardens of this place say that its annual revenue is about a thousand ducats. Not far away from here is a convent of nuns which is called Santa Clara. The bridges: On this arm of the sea, there are two bridges made of wood, one on either side of the castle, and the men who travel back and forth by land, whether towards the mainland or the island of Negropont pass over these bridges and through this same castle, and armed men are assigned to stand diligently on guard over these bridges and the gateways. The water in this arm of the sea flows continually, like a river, sometimes from the one harbor and sometimes from the other, for there are two harbors for ships here. The mills: In the said stream there are three mills, cleverly made so that they grind grain, whichever way the current flows. The revenue of these is about fifty ducats annually.5 On occasion, the current in this stream flows so violently that the wheels of the mills are smashed. 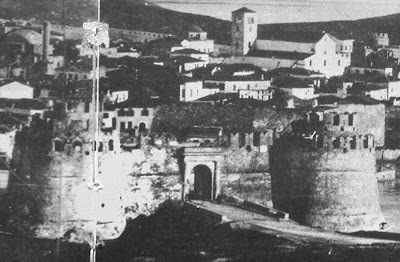 The city itself is strongly surrounded by the sea on three sides and has fine walls and many towers encircling it. It has many well-bred and wealthy men, as well as beautiful women. I think that they are the descendants of the enchantresses who lived in the ancient castle. They are in general distinguished by great beauty and wear fine clothing in the Italian style. We waited forty days for the ship that was to come from Venice, feeling great anxiety in moth mind and heart, but had no news of her arrival. Finally, on the advice of the bailo, we accepted some letters of recommendation from him and set out to return to Athens, so as to seek a return voyage home from there. 1 Suesse is Sessa Aurunca, northwest of Naples. Di Martoni compares everything to home. 2 This would mean an island population of 58,000 which is not at all likely. 3 SS Mary and Dominic: the Dominican priory church, now Ag. Paraskevi. 4 The names come from the northern Italian Arthurian tradition. 5There is surely a problem with this figure which is much too low. that di Martoni saw. The towers and gate were rebuilt in the 15th C.
From the travelogue of Krištof Harant, 1608. 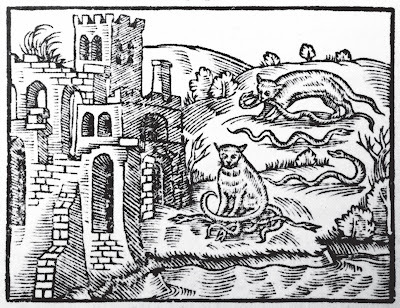 Ben Arbel sent me his article, "Cypriot Wildlife in Renaissance Writings,"* which put me on to the cats of St. Nicholas. After looking on Google, I find may have been one of the only people to go to the Mediterranean who hasn't known about the cats, though I did know the Seferis poem (below). 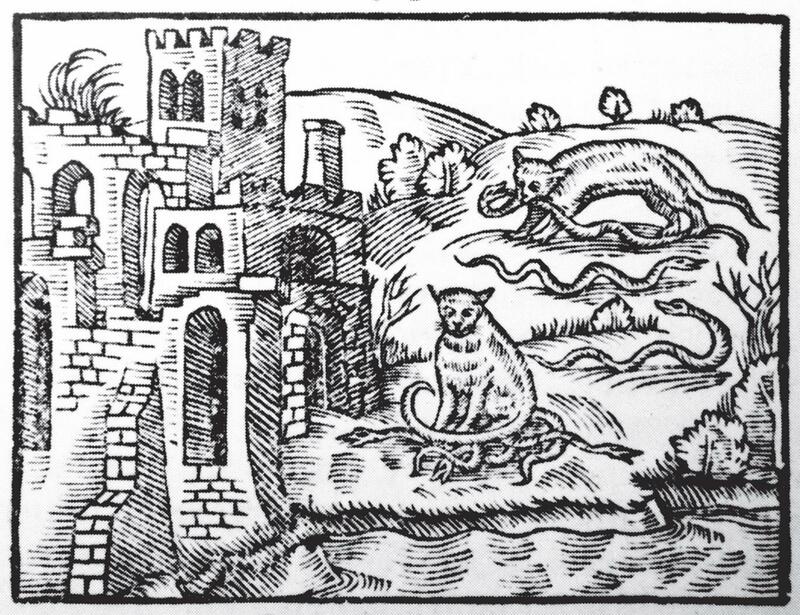 Renaissance visitors thought these snake-killing cats were amazing, even miraculous, and I can affirm the accuracy of their observation. For 8 years of my young life in Nigeria, I had a miraculous cat. St. Helena tends to be associated with crosses, but visiting Cyprus in 328, or 327, or some other year, she found it infested with poisonous snakes. She had hundreds of cats imported from Egypt or Palestine to the place where her ship had landed, the Akrotiri peninsula south of Limassol. (Imagine galleys full of cats . . ..) At the time Cyprus was suffering from an extended drought, and Helena had Constantine send out a governor to help out the people of the island. Constantine's governor, Kalokeros, founded a monastery on Akrotiri. The cats attached themselves to the monastery and, except for a 400-year break between the late 16th century and 1983, the cats have remained in residence. "It is wonderful to see them, for nearly all are maimed by the snakes: one has lost a nose, another an ear; the skin of one is torn, another is lame: one is blind of one eye, another of both. And it is a strange thing that at the hour for their food, at the sound of a bell, they collect at the monastery and when they have eaten enough, at the sound of that same bell, they all depart together to go fight the snakes." the precious confidence of hope . . .
they call the place "Greek's Rock." days long square in the eyes: the young hearth god. 'Left ten degrees rudder,' muttered the helmsman. searching for windows behind the frames. 'It's strange,' the captain said. reminded me of another, the monastery bell. a half-mad monk, a kind of dreamer. people died and snakes were born. couldn't put their flocks to pasture. In the end they were saved by the cats they raised. and an army of cats would move into battle. until the bell sounded for the evening feed. and out they'd go to battle through the night. a nose, an ear, their hides in shreds. months went by, years, season after season. they just couldn't take in that much poison. not a miaow, not a bell even. the poisonous blood of those snakes? 'Steady as you go,' indifferently echoed the helmsman. * Ben Arbel's article, "Cypriot Wildlife in Renaissance Writings," is found in Cyprus and the Renaissance (1450-1650), ed. B. Arbel. E. Chayes, & H. Hendrix (Brepols, 2012). Images from ASVe Senato Mar b. 12. 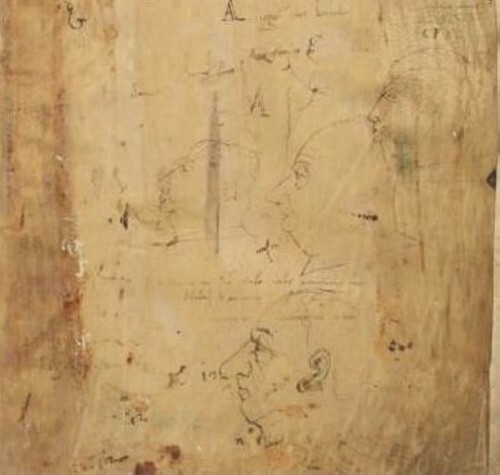 The drawings here are from the front and back pages of volume 12 of the Venetian Stato Mar registers which covers March 1484 through February 1485, that is, the years 1484-1485 according to the Venetian calendar. The pages in the register are made of vellum. This can be found on the internet but one of the pleasures of in-person research is getting to touch those pages, smoother on the recto side, more textured on the verso. All of these drawings, with the possible exception of one, are portraits, all face to the left. There is a strong element of caricature. Noses get a great deal of attention. A few drawings show exceptional ability. I have not identified any of the faces portrayed except for (I think) the last, but if anyone can put a name to a face, I'd be delighted to know. 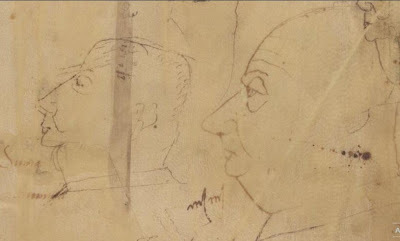 And I would love to know if anyone has collected and studied these drawings from the official archives. 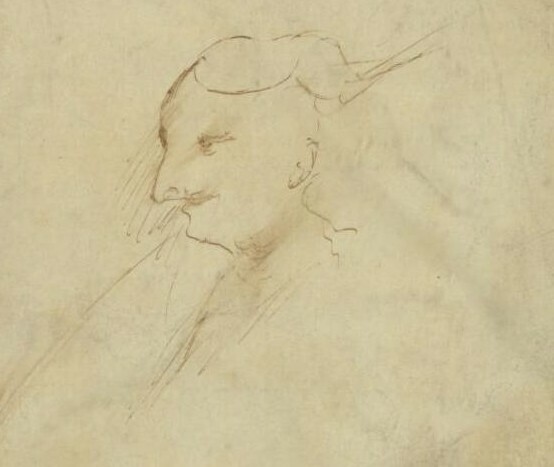 I am not positive that this exercise on A is an intentional face. It may be spots on the page. 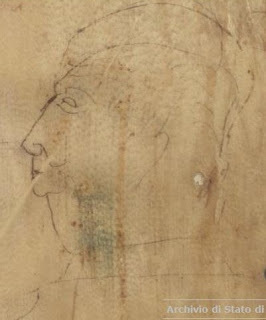 Here there has been an attempt to correct the proportions of the head. More corrections. Sometimes the faces overlap. 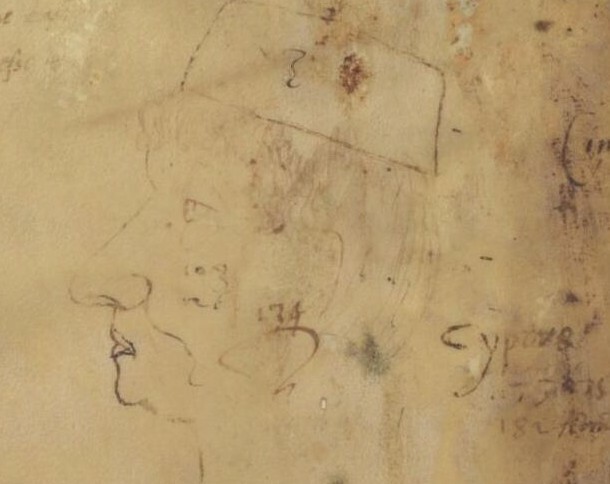 A closeup of the bottom face, a man with the typical Venetian hat, and an attempt at indexing. The final three portraits are, I think, extraordinary. ?? 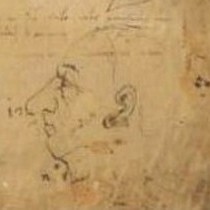 Doge Marco Barbarigo. (1485-1486) ?? The weather and the crows have been splendid this summer. Two pairs -- one for the third summer -- have brought their fledglings to the crow feeder, and we have spent an inordinate amount of time watching their behavior. The fledglings are very nearly the size of their parents, but a bit smaller and more slender. On the first visit for one family, a parent supervised four on the feeder. Three pecked away, while the fourth sat in the feeding pan and screamed to be fed. Time out for a few pecks, then another series of screams for feeding. (The interior of a young crow's mouth is brilliant red.) The parent was admirably impervious. After a week, the fledglings learned that if they sit near the empty feeder and scream, I would bring out more food. This is probably not good for their sense of ethics. When the pan is empty, they will go over it carefully and tap at regular intervals, then poke underneath it as far as they can. When we sit out in the yard with our late-afternoon drinks, several crows, as in the picture above, will come sit quietly on the power-line and keep us company. Occasionally, one will swoop down low enough to make us duck, and then return to sitting quietly. Hork, below, seems to be quite solitary, and spends a great deal of time perched above the back yard. It is very good to be able to recognize two individual crows -- they certainly recognize us, and announce our presence outdoors to other crows with 4 caws. If we walk anywhere in the neighborhood, various crows will give our current position with 4 caws. To us they often give 3 caws, which I hope is a greeting, and sometimes a single caw with a down-turn. The fledglings "feed-me" call is a single caw with a hint of a whine, which probably translates more correctly as NOW! In the mating season, there was a great variety of calls, some quite melodic, some sounding like small wooden bells. year's fledglings also have light-colored feathers, mostly under the edge of the cape. For a long time, whenever we would put out a new kind of food, the crows would assemble a parliament and discuss it. One crow would come down and look carefully, then go back -- without eating anything -- and report. Then one or two would come eat one bite each, and apparently pronounce it safe. After a several months, this shifted to one crow coming from the parliament and tasting immediately, without discussion, to be followed by all the others in turn -- it is impossible to understand how turns are worked out. Now the first crow to notice something comes down to eat immediately. Most of them will call out in the process to inform others, but at least one is content to eat without sharing. The neighbor across the street knows when I have put out dry bread, because they take the pieces over to his pond to soften them up. Loading up with meat for the nestlings. Most days in the winter, there are 12 - 20 crows waiting to be fed when I get up. Those crows did not consume in a day what two pairs and 7 nestlings have consumed daily this summer. For a while I was putting out twice as much food as I did daily in winter. Crows, of course, like meat best of all, and nothing makes them any happier than when we discover forgotten meat in a corner of the refrigerator, or have a couple of fish heads for them. They have a great sense of order and fairness in eating, although it is impossible for me to understand the components of the order. The fledglings have not learned order yet, or they impose it on each other like young children on the playground. They come to food and spend more time squabbling about who is first than they do eating. I used to put out crow food before I went to bed, as crows like breakfast earlier than I do, but the raccoon discovered it. These days I put food out around 5-5:30 in the morning, whenever they perch outside my window and call to me that they are ready. Crows have mortal enmity towards raccoons -- that is just about their only 4-legged predator -- and attacked this one in force whenever it appeared in daylight. Now it waits until they have gone away for the evening. I leave something for the raccoon in the evening down by the garden where it feels obliged to overturn the birdbath every night. Raccoon at dusk feasting on crow food. This one is about half-grown. The crows know that the black cat lives here. His first two years, they would scream at him unmercifully -- he was terrified by them, and I would pick him up and scream back. They learned. They have also learned that I despise the black cat from two houses away, the one that thinks our birdfeeders were established for his benefit, and now when they see him in the yard -- they know precisely the territorial boundaries for humans -- they scream him back to his house. That has worked so well -- and may have been so gratifying -- that they have taken up screaming at his housemate, the striped cat, who is quite inoffensive. These birds are astoundingly beautiful. They have a cape over their shoulders, a soft black triangle of small feathers that is a striking contrast to the long glossy black tail and wing feathers. The feathers are intensely reflective. When they perch above us in the late afternoon, say about 4:30 with the sun just below, they flash platinum, and their beaks glitter. By seven they reflect bronze and copper. And once, when the sun was low and a crow flew up in front of me past the sun, for an instant that crow flashed a deep peacock blue. This is from the Laurentian copy of the Act of Union. Ὁ Παλαιολόγος with the cross and two dots comes in the second line. 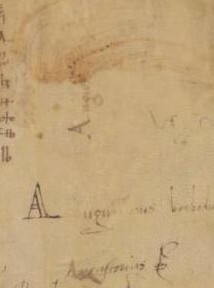 Here in the Venetian copy held in the Vatican, the signature line is broken in the middle of auto - krator. I sent Moss the signature pictures I had, reading references, and a link to my blog on the Florence signing. We discussed the signature a little more, and the conversation seemed to have come to a natural end. Then four days later I received an e-mail from him in which he asked me if I would like to have it. Two weeks after Daniel Moss had first written me, I was holding John's signature in my hands. 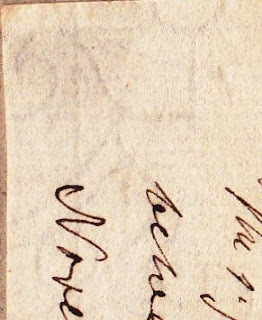 It is a large signature, 9 cm long, written with a quill pen. 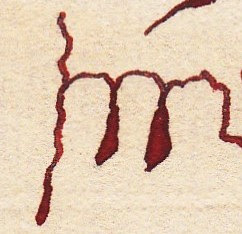 The ink is still red, red edging toward brown, but very red where it collected in the loops and down-strokes. 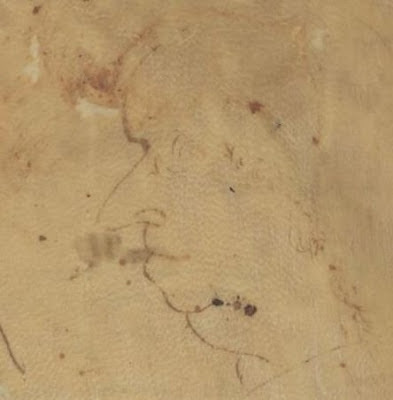 At the bottom left of the paper is part of a watermark, an eagle with sun? a sphere on a rod? At some point, the paper with the signature (16.8cm x 7.7cm) was glued at six places to a slightly larger, darker, stiffer paper. 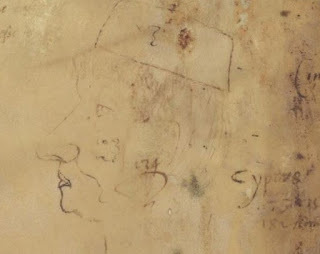 Someone made a note on it that says: The signature of the emperor Palaiologos to the Condordat / between Eugenius IV & the Emperor, made St. Maria / Novella in Florence 1439. In the Laurentian Library. The signing was not done at S. Maria Novella: that is the Dominican convent where most of the Greek delegation was staying. Fra Angelico was working there at the time, and his assistant was the young Benozzo Gozzoli who later painted the Greeks into his frescos for the Medici chapel. The Act of Union should have been signed on July 2, but an error was found in the text and the whole thing -- in Latin and Greek -- had to be recopied, the Latin text on the left side, the Greek on the right. The Greeks signed in the early afternoon of 5 July, a Sunday. They signed at the Palazzo Peruzzi where John was staying, a palazzo where the Florentine government put important visitors, on the main route from the piazza to S. Croce, and quite a long way from the rest of the Greeks. They signed in order of precedence, witnessed by three Latin bishops. 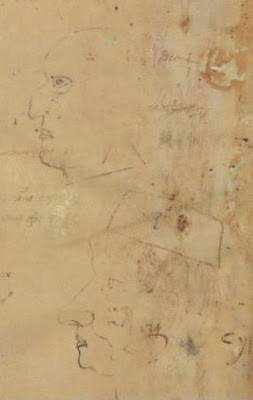 Then John sent the document with ten clerics and four court officials over to Pope Eugenius. John said that Bessarion would make a speech when they got there. Bessarion did, a long one, and after the speech everyone went into another room where the Pope signed Eugenius catholice ecclesie episcopus ita diffiniens subscripsi, followed by the Latins in order of precedence. The next day, Monday July 6, was the formal day of Union. A high mass was said at the Duomo. Somehow, arrangements could not quite be worked out for an Orthodox liturgy. Later in the month, four or five more official copies were signed -- this was at the Pope's request. John said, "Why five? Two are enough -- we take one and you take the other" -- and then still more copies, with varying numbers of signatures, depending on who showed up, or who had left town. The cost of the gold for the Emperor's seals would have made seals for twenty-nine of them, looking at the footnote in Gill: seals for four, looking at the footnote in Syropoulos. On the back of the paper for my signature is written, very small (2.8 cm): . Thanks to Walter Andrews for his help.